Address: 13 Purvis Street, Singapore. 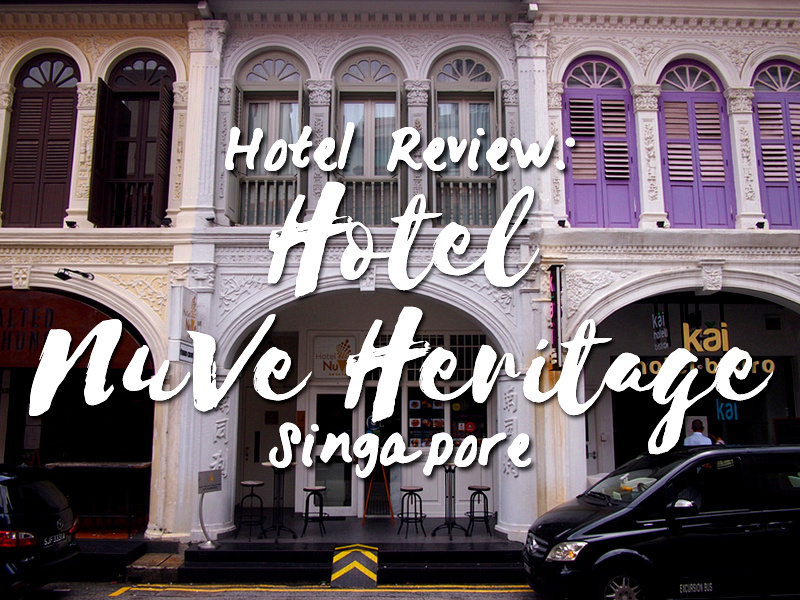 I stayed at Hotel NuVe Heritage in Singapore. I was here as a guest of the hotel to review the property. 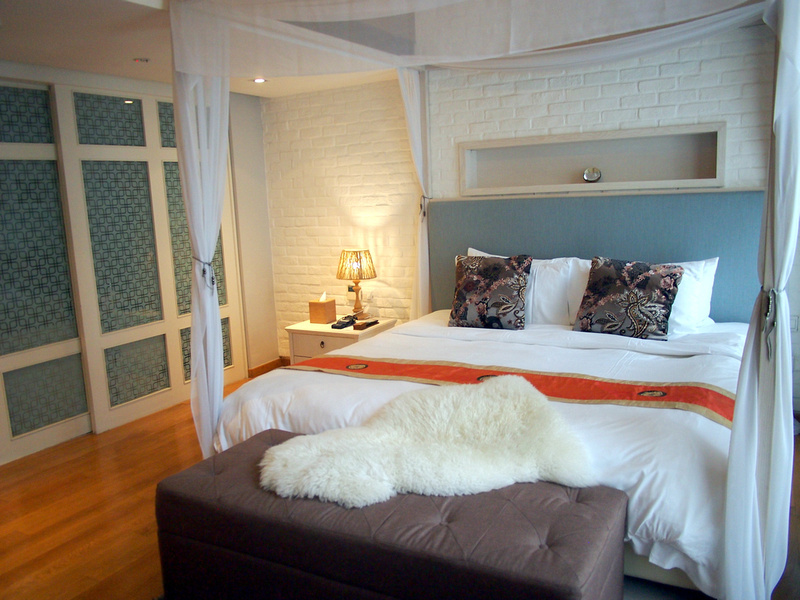 Hotel NuVe Heritage is a 4-star boutique hotel in Singapore. It is near near Bugis and City Hall MRT, which I rate as one of the best neighbourhoods to stay in Singapore. 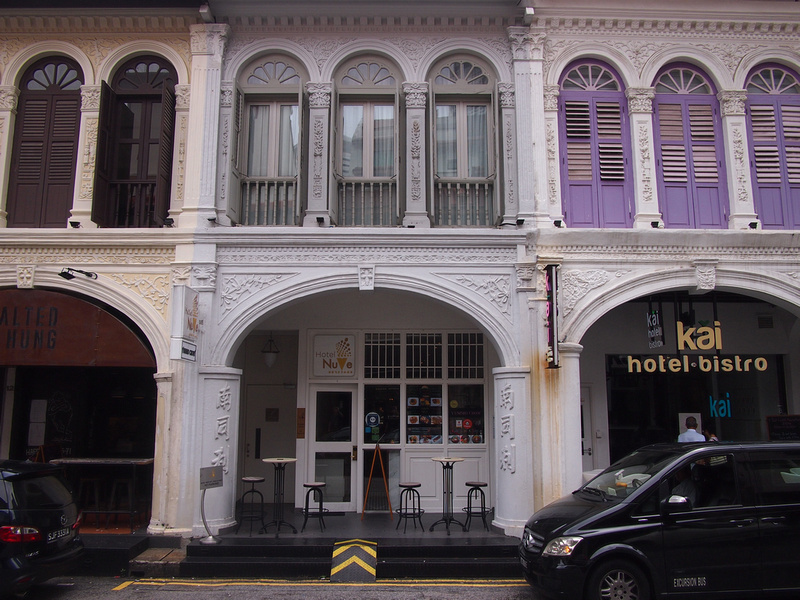 Hotel NuVe Heritage is on Purvis Street, which is one of the best preserved streets in Singapore. 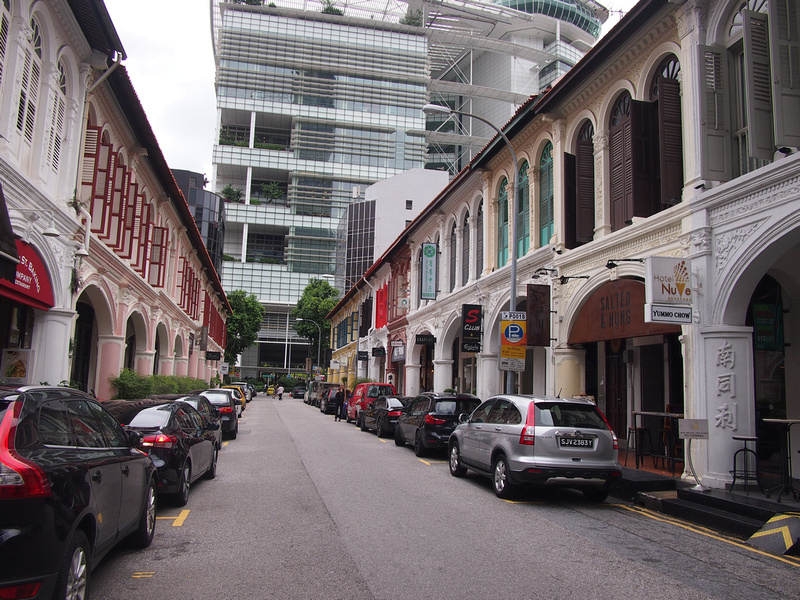 The street is dominated by rows of restored old shophouses housing a variety of restaurants. The hotels is in one of the many heritage properties on this street with the building facade looking as it was originally built. For my stay I was in the Explorer Suite. 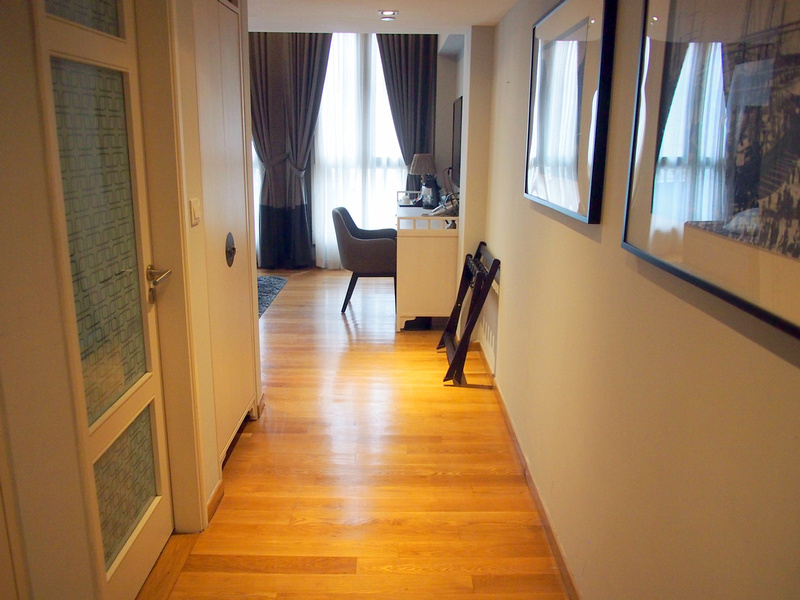 This is one of the big feature rooms of the hotel, and by Singaporean standards it is very spacious. Entering the room I was struck by the amount of space and the windows. I can’t remember when I last had so many windows in a hotel room. The bedroom features a luxurious four-poster bed with a soft and comfortable mattress and sheet set. And they didn’t go too crazy with the ornamental pillows, with only two to remove. There is a good working desk and mounted TV facing the bed, ideal for stay-at-home movie nights. The bathroom was also notable for its spaciousness. I’ve stayed in many hotel rooms in Singapore that were smaller than the bathroom here. 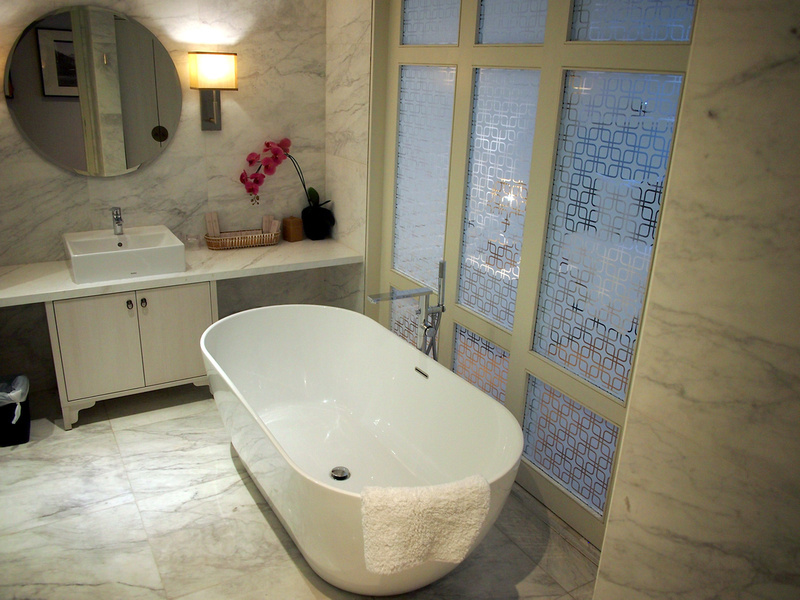 The main feature of the bathroom is the stand-alone bathtub. 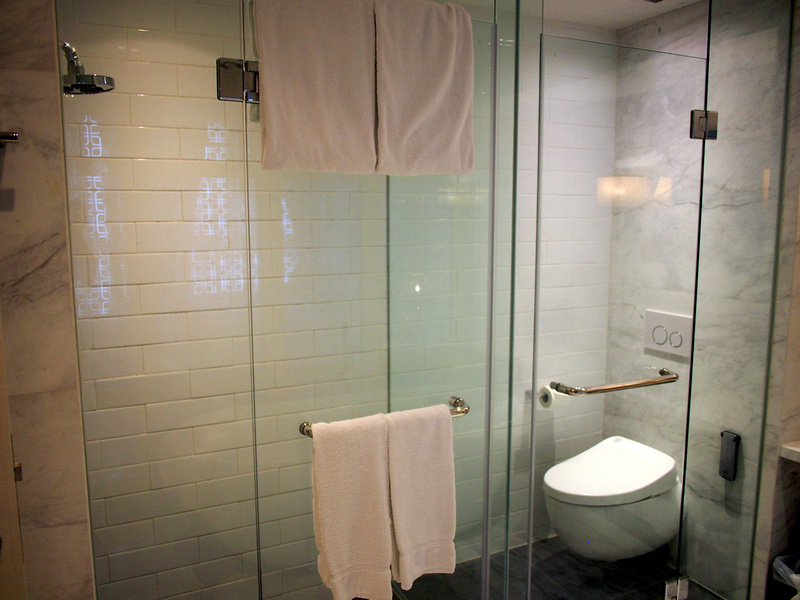 The shower and toilet have their own separate glass compartments. The toilet is a TOTO automated washlet, which is like something you would find in Japan. The TOTO massage shower with pressure options is also nice, once you work out how it works! 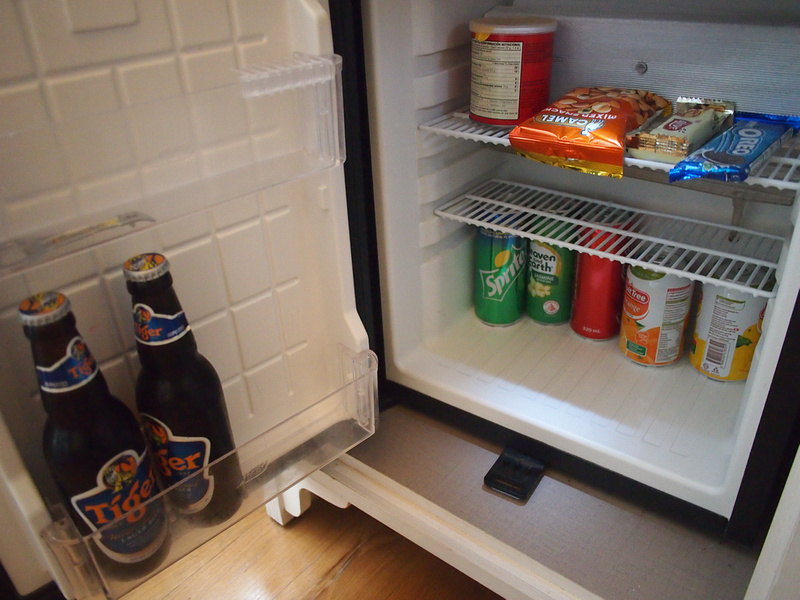 There is a free minibar in the room, so you can help yourself to and of the drinks and snacks in the fridge. Yes that’s right, even the booze is free. 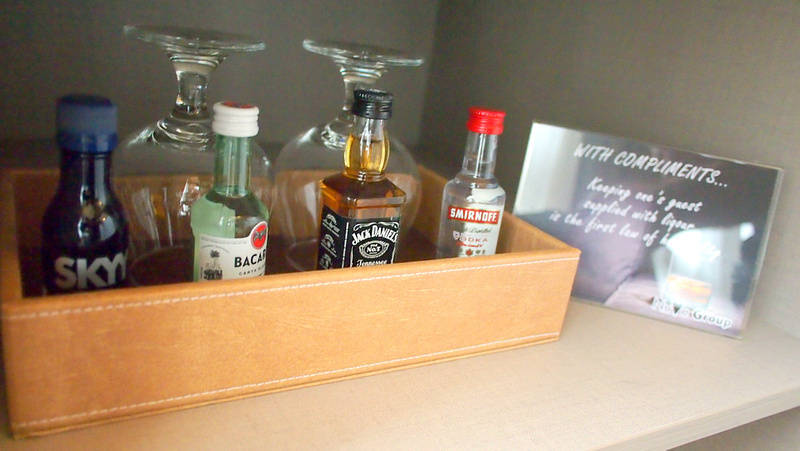 Lucky for them I don’t drink anymore, otherwise I would have emptied this bar in no time. The hotel reception is shared with the restaurant/cafe at the street entrance. A free breakfast service is provided here for certain rooms (check when you book). 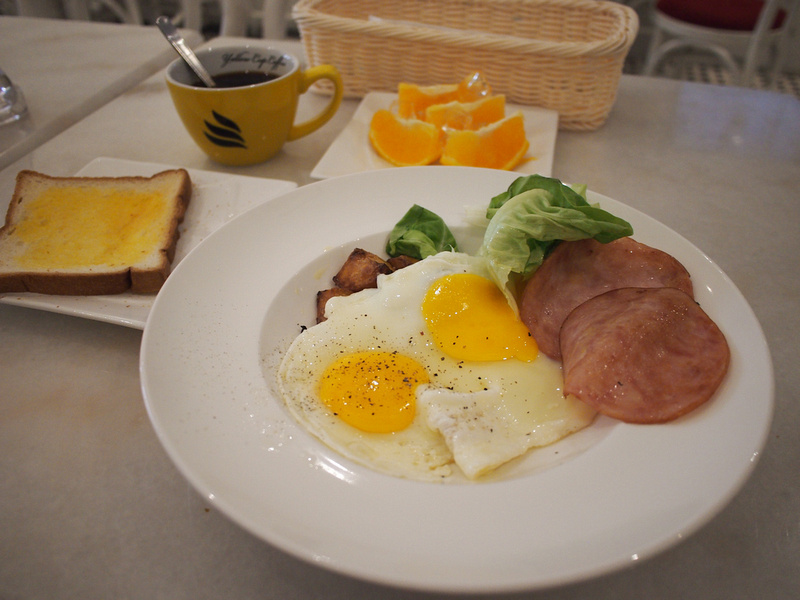 The breakfast is made to order rather than the usual buffet style. There is free wifi throughout the property which worked in my room and in the restaurant no problem. The login was via a username and pass that required logging in again after a while, but other than that it was fine, and you could use it on multiple devices. As far as location goes this area is hard to beat. The street is loaded with amazing food options, from cheap chicken and rice shops to high-end dining experiences. It is near enough to the metro, and you can walk around central Singapore easily from here. Book online or check the special offers page for deals. 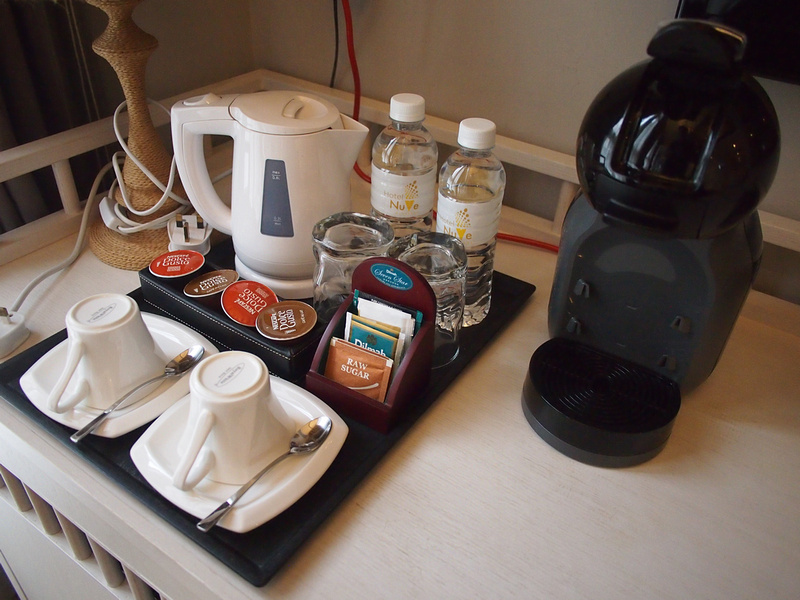 If you are looking for a budget option have a look at Hotel NuVe, which is a 3-star hotel in nearby Bugis.